Kishwaukee Community Hospital and the American Heart Association will host the annual Go Red for Women Luncheon on Friday, May 18, 11 a.m. to 1 p.m., at NIU’s Barsema Alumni & Visitors Center, 231 N. Annie Glidden Road, DeKalb. The heart healthy luncheon will feature a panel discussion on healthy eating by Kish Hospital experts, Jo Cessna, healthy culinary instructor; Jeff Lawson, executive chef; Monica Klemm, clinical dietitian; and Peggy Marchini, diabetes educator. Participants also can learn more about Kishwaukee Community Hospital’s free “Know Your Numbers” screening event June 2 and about the hospital’s HeartWise Cardiac Health Evaluation. Other local sponsor booths will have helpful information for guests as well. Angela Male of American Midwest Bank, Sycamore, will share her experience with heart disease. A “Pursenality” silent auction and fun photo booth will round out the two-hour event. Luncheon guests also will receive a gift bag and take-home educational information. Go Red for Women is sponsored nationally by Macy’s and Merck. Other local sponsors are American Midwest Bank, DeKalb Clinic, Castle Bank, National Bank & Trust, Downtown DeKalb, St. Jude Medical, B95, and WLBK. Tickets are $50 and may be purchased online at www.dekalbgoredforwomen.org. More information is available by contacting Sharon Emanuelson at semanuelson@kishhealth.org or 815.756.1521 x153420. Proceeds from the luncheon will support American Heart Association research and education on heart disease, the No. 1 killer of women. LOCAL INSURANCE AGENT CELEBRATES LEGACY. Jeff Keicher is proud to announce an open house celebration in honor of State Farm’s® 90th Anniversary. State Farm®, well known for being a “good neighbor” by “being there” for our customers, was founded June 7, 1922 by retired farmer and insurance salesman George Jacob “G.J.” Mecherle. We now insure more cars and homes than any other insurer in the U.S. A mutual company owned by its policyholders, State Farm is currently ranked number 34 on the Fortune 500 list of largest companies. Jeff Keicher, CLU ChFC CPCU, Select Agent®, operates the State Farm office at 315 West Elm Street in Sycamore. Keicher will be hosting an open house from 3PM to 6 PM on Thursday June 7, 2012 and all are welcome for food, refreshment and fun. In honor of the event, Jeff will be handing out State Farm commemorative die cast fire engines to the first 300 attendees and “kid’s road atlases” to the first 400 children. More information on the Insurance and Financial Services that the Sycamore State Farm agency provides to clients is available at www.jeffkeicher.com or by contacting the office at 815-895-5178. On April 16, 2012, KishHealth System recognizes the fifth annual National Healthcare Decisions Day. The goal of this nationwide initiative is to ensure that all adults with decision-making capacity in America have both the information and the opportunity to communicate and document their future healthcare decisions. The first four years’ results were impressive—over 750,000 people obtained resources to make their healthcare decisions known—but there remain millions of Americans to go. With healthcare, “your decisions matter,” however, others need to know your wishes to honor them. There are no wrong answers when thinking about healthcare choices and completing an advance directive. Please use April 16 to decide, discuss, and document your wishes, whatever they may be. Please visit www.nationalhealthcaredecisionsday.org for a variety of free information (including free advance directives forms for every state) and tools to assist with thoughtful reflection on healthcare choices and ideas on how to get involved. Additionally, watch for events in your community honoring National Healthcare Decisions Day. Finally, please share this information with your loved ones and colleagues. For healthcare documents including power of attorney and advance directives, please visit www.kishhospital.org/healthcaredocuments or www.valleywest.org/healthcaredocuments. 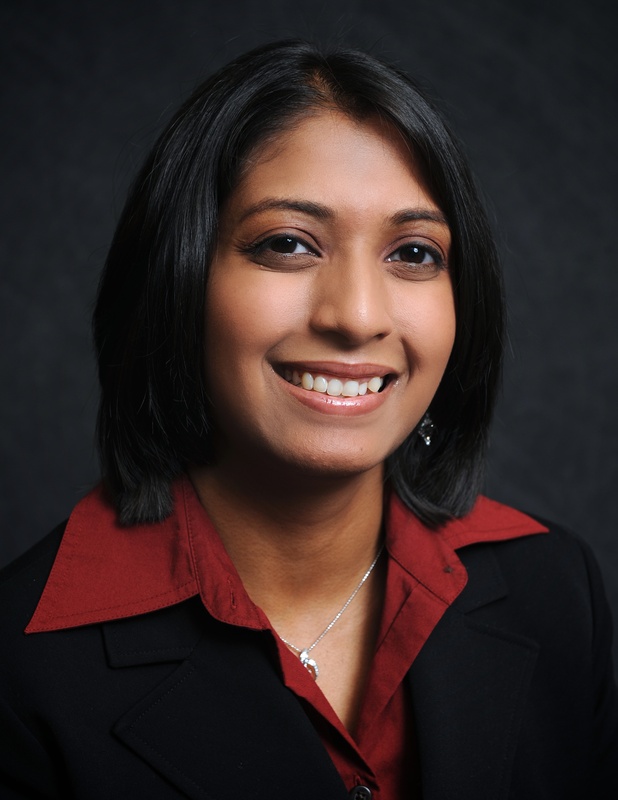 Area families are invited to an open house for Pediatrician Mayuri Morker, MD, on Friday, April 18, from 4 to 7 p.m. at Children’s Health Care Center, 625 E. Bethany Rd., DeKalb. Open House attendees will receive a free digital thermometer while supplies last and refreshments will be available. Dr. Morker practices with Dr. Umesh Goswami and is a member of the Kishwaukee Community Hospital medical staff and cares for newborns in the hospital’s Maternity Suites. Dr. Morker completed medical school at Rush Medical College in Chicago and her pediatric residency at Advocated Christ/Hope Children’s Hospital in Oak Lawn. Dr. Morker is accepting new patients; appointments can be made by calling Children’s Health Care Center, at 815.758.5100. Learn more about Dr. Morker by viewing her video profile at www.kishfindadoctor.org. A community wellness health professional from Kishwaukee Community Hospital monitors your blood pressure weekly free at three area locations. You receive blood pressure information and a tracking card. On Mondays at Kish Hospital from 10 a.m. to 1 p.m., on Wednesdays at KishHealth Family and Specialty Care in Genoa from 9 to 11 a.m., and on Thursdays at KishHealth Family & Specialty Care in Waterman from 9 to 11 a.m. No registration is required; just walk in. This class is for individuals with back pain, joint pain including arthritis, soft tissue pain including fibromyalgia, or individuals seeking to improve cardiovascular fitness. Warm water sessions decrease pain with improved range of motion, stretching, and flexibility. Six-week class meets once a week. Class size limited to four people. Days and times vary. Classes meet from April 23 to June 1 at Unlimited Performance Rehabilitation & Sports Medicine, Sycamore. The cost to participate is $75 per person. Registration is required for this program and closes three days before the program date. A minimum number of participants is also required. For information and to register call 815.748.8900 or visit www.kishhospital.org/programs. Every person experiences pain at some point during their life. We would all love a quick fix to make it go away, but pain is a complex process. Understanding pain can help you manage it and find relief. Join a member of the Kish Hospital Pain Clinic to learn about the anatomy of pain and how knowledge can help you work with your doctor to determine proper treatment and medication options. The free class is April 24 from 6:30 to 8 p.m. in Kish Hospital’s Roberts Conference Center. Registration is required for this program and closes three days before the program date. A minimum number of participants is also required. Call 815.748.8962 or visit www.kishhospital.org/programs. Are you concerned about your cholesterol? Do you understand what affects cholesterol levels? Whether your levels are high or normal, there are lifestyle changes you can make to reduce or maintain healthy cholesterol. Join us to receive a variety of resources and tools to develop healthy life-long habits. If you have your cholesterol results, please bring them. The free class is April 24 from 6:30 to 9 p.m. at KishHealth Family & Specialty Care in Waterman. Registration is required for this program and closes three days before the program date. A minimum number of participants is also required. Call 815.748.8962 or visit www.kishhospital.org/programs. This weekly group provides an opportunity to learn more about cancer from fellow patients, caregivers and trained staff in a safe and encouraging environment. The group is open to patients, caregivers and community members. The group meets on Wednesdays of each month, until April 25, from 10 to 11:30 a.m. at The Cancer Center at Kishwaukee Community Hospital. No registration is required; just walk in. For more information, call 815.748.2958 or visit www.kishhospital.org/programs. Are you tired of having bags under your eyes? Have you ever considered eyelid surgery? Ophthalmologist and Oculoplastic Surgeon Kenya Williams, MD, discusses the treatment options for droopy, sagging eyelids and brows, and abnormal “bumps and lumps” around the eye. The free class is April 26 from 6 to 7 p.m. in Kish Hospital’s Roberts Conference Center. Registration is required for this program and closes three days before the program date. A minimum number of participants is also required. Call 815.748.8962 or visit www.kishhospital.org/programs. Mothers and babies are welcome to attend this breastfeeding group to discuss the joys and challenges of breastfeeding. Drop in with your baby to meet other breastfeeding moms and receive the support and encouragement you need. The free group meets on the 2nd and 4th Thursdays of each month from 10 to 11:30 a.m. at Kishwaukee Community Hospital. No registration is required; just walk in. For more information, call 815.748.8962 or visit www.kishhospital.org/programs. The Cancer Center at Kishwaukee Community Hospital invites women who have been affected by cancer, for an afternoon of fun with a tea party, fashion show and consultations. Following the show, stay for mini manicures, hair consultations, styling tips, make-up tips, clothing consultations, and breast prosthesis consultations. The free program is on April 27, from noon to 3:30 p.m. at The Cancer Center at Kishwaukee Community Hospital. Registration is required for this program and closes three days before the program date. A minimum number of participants is also required. Call 815.748.2958 to register or visit www.kishhospital.org/programs. It’s time to visit Downtown Sycamore–we’ve got some exciting news: new businesses, special activities, fun events and prizes! The merchants of Downtown Sycamore invite you and your family back to downtown Sycamore during Spring Break. It’s time for downtown Sycamore’s Spring Fling, March 23 through April 1st, visit a participating store for a chance to win one of three baskets filled with goodies. Enjoy the blooming trees as you wander down State Street. For starters pick up some hand made chocolate or other sweets at our own Sycamore Confectionary. The folks at the Confectionary have been making chocolates since 1982 the old fashioned way by hand. Batches are small, which keeps the chocolate oh so fresh. The fragrance inside is delicious, and filled with wonderful treats like chocolate covered graham crackers in milk or dark chocolate! Sugar free chocolates too! For more sweet treats visit Ellison’s Bakery, home of the best ever Cinnamon bread! You will find homemade donuts, cookies, pies, custom cakes, and fresh bread. It’s always a must to visit Puddy the cat at the Sycamore Scent Shop and Boutique. The Scent shop specializes in custom scented bath & body products, hand-crafted jewelry, purses and accessories with a scattering of Antiques and Home Décor. Puddy can show you around the shop if he’s not too busy napping in the window. Stomp Shoes, Boots and Accessories have filled their store with the newest spring line of shoes for women, men and children. It’s time to get your feet ready for some fun: running, jumping hiking or just going out for day or evening trip. These quality shoes are always fit perfectly to your feet by a professional staff. This week Christian Connection will be showcasing their new Computerized Music Media center called “myMedia BurnBar”. It’s a really cool way to listen to music and then create your own customized CD right in the store and during Spring Fling week get an extra discount on your selections. Across State Street, at Made Just for You enjoy a Tea Demonstration on Saturday March 24th, to teach you how to properly use loose leaf teas. Made Just for you specialized in local hand crafted gifts. During Spring Fling Franklin’s Frames and Art, will première their brand new line of Quilt and Rug Hangers. Sycamore Antiques as just opened an antique furniture showroom in the Sycamore Center located right next-door. This exciting expansion has given our Sycamore Antique experts the space to truly showcase their entire collection of antiques. If you are thinking of sprucing up your home during this year’s spring break cleaning project then stop at Paulson Appliance & Electronics. A name you can trust in Sycamore since 1977, known for quality products and service. Paulsen’s have joined forces with BrandSource (a national buying cooperative) so they can give you the best of both worlds: competitive pricing and local dealer service. Its springtime so Love may just be in the air if so you might need something extra special for your someone– stop in D&D Jewelers, for a beautiful collection of sparkling gems. For those of you who want to keep your hands busy there are several events all week. At the Art Attack School of Art, classes will be going on all week. This non-profit organization of volunteer artists features art classes for ages 8 and up, or 7 and under with an adult. Students can learn how to make a clay birdhouse, create jewelry or even take an old t-shirt and make it new. Find all the classes listed on their website or stop in at the Art Attack School of Art. Family discounts are offered. At Sweet Earth it’s their 3rd annual Bead-a-thon, a week long event that’s all about beading with over 30 classes. This year’s theme is BEad Happy! If you have always wanted to learn to make jewelry, refresh your skills or see the latest techniques please join us. Sweet Earth is Downtown Sycamore’s largest gift & specialty shop featuring in house custom jewelry repair and gift engraving. Check out their website for the entire complete Bead-a-thon schedule or pick one up at Sweet Earth. Blue Moon Bikes is a must stop if you are getting ready to hit the road this spring, summer and fall. Blue Moon Bikes is a full service bicycle shop specializing in new and classic bicycles, antique bikes, parts, restoration and repair. Blue Moon has 3 floors of bikes… plus-don’t miss the Bike Museum located on the 3rd floor. Speaking of Museums-Sycamore’s Midwest Museum of Natural History will have a free activity and live animal visits with general admission all week long. The Midwest Museum is a great learning experience for all ages and fun too. The mission of the Midwest Museum is to teach its guests an appreciation of the natural environment through education and recreation. Look for all educational programs and special events on their website or stop in to pick up a calendar of event. So who’s new in Sycamore, Glass Gardens, Inc moved from DeKalb and offers stained glass classes, supplies, studio and there own beautiful American made gifts items. During Fling and Bead-a-thon Glass Garden will offer a special glass fusing class. Prairie on State from Genoa, Illinois has just opened their second Winery and tasting room right on State Street. Enjoy Illinois cheeses, live music and tasting of their award winning wines. The new owners of The Jane Fargo Hotel welcome you to the newly opened Mitchel Lounge..The Mitchel Lounge is the perfect addition to the Sycamore Restaurant circuit. You’ll find fabulously tender cuts of meat and a great bar. Fantastic daily drink and dinner specials including Wednesdays for ½ price bottles of wine and Friday Night Ladies night. Stop in and visit and see the on-going historical renovation of our most beloved landmark– Sycamore’s only Boutique Hotel. If you live outside Sycamore you can come for the day and stay overnight at the Jane Fargo Hotel. You will never get hungry while visiting Sycamore. There is an array of sit down restaurants to cater to everyone’s palette. The preparation of food really matters to these family owned business that take pride in offering you the best quality food at an affordable price. Taxco for the best authentic Mexican food with the largest selection of Tequila in Sycamore. On weekends enjoy homemade tortillas. Nats on Maple offers trendy comfort food in a relaxed atmosphere where food and friends come together. Nats is the perfect setting for girlfriends, family or a quiet business lunch. Villa Verona offers a superb menu of Italian dishes. When you are ready for something different you can experience Sycamore’s night life, all offer great beer on tap, music and food. P.J’s Court House Bar & Tavern offers live music and an outdoor beer garden. Fat Boyz for Karaoke and MVP Sports known for their patio on the roof, Hinks and Cubs & Spanks offer a great local flavor, low key atmosphere and all with affordable drink prices. So come for the day or stay the night, remember visit a participating downtown Sycamore businesses during Spring Fling for a chance to win one of three baskets filled with goodies. The baskets are displayed at another beautifully maintained landmark: the Sycamore State Theater, home of the Sycamore Film Festival later in September. The theater is a great way to spend an afternoon or evening where you will always showing a great selection of hit movies. Business hours vary for each business, so please call, or conveniently find mour hours listed on our websites and Face book pages. Enjoy sycamore this spring break where you can eat, shop, save money, have fun, learn some stuff and just plain enjoy yourself. This Spring break don’t take the by-pass, take State Street, where you can park out front and walk right in—to our family owned businesses, where you are a priority. This course is intended for participants who provide healthcare to patients in a wide variety of situations, including in and out-of-hospital settings. These healthcare providers may include (but are not limited to) nurses, paramedics, EMT’s, respiratory therapists, CNAs, and other allied health personnel. The course is also designed for anyone who is required to take a healthcare provider course for employment and may be attended by laypersons. The class fee is $50 per person. The class is Apr. 16 at 5:30 in the Kishwaukee Healthcare Building. Registration is required for this program and closes three days before the program date. A minimum number of participants is also required. Call 815.756.1521, x153618 or x153626 or visit www.kishhospital.org/programs. Diabetes Get Togethers offers the opportunity to learn from other’s experiences and share your own. All persons with diabetes, their family and friends are welcome. Free Diabetes Get Togethers at Kishwaukee Community Hospital meet on Apr. 17, 6 to 7 p.m. in the Diabetes Education Classroom, Suite 202. No registration is required; just walk in. For more information, call 815.748.8378 or visit www.kishhospital.org/programs. Did you know that repetitive laughter can have the same effect on your body as repetitive exercise? Laughter is nature’s medicine that can help manage pain while reducing stress. Laughter Yoga exercise is a simple yet powerful approach that can be done by anyone, at anytime, or anywhere regardless of what your mind has to say. Join LivingWell Cancer Resource Center and Terri Reasoner, Ph.D., CPT, for some stress reduction while you let your inner giggles shine! The free class is Apr. 18 from 6:30 to 8 p.m. in Kish Hospital’s Roberts Conference Center. Registration is required for this program and closes three days before the program date. A minimum number of participants is also required. Call 815.748.2958 or visit www.kishhospital.org/programs. Learn the benefits of breastfeeding for mom and baby, getting started, preventing common problems and how to pump and store breast milk. The cost is $15 per couple. The class is on Apr. 21 from 9 a.m. to noon in Kish Hospital’s Roberts Conference Center. Registration is required for this program and closes three days before the program date. A minimum number of participants is also required. Call 815.748.8962 or visit www.kishhospital.org/programs. We encourage expectant parents to join us for a walking tour of the beautiful and spacious Kish Hospital Maternity Suites. The tour is free, but registration is required. This tour is also given as a part of our Prepared Childbirth classes. The tour is on Apr. 21 from 1 to 2 p.m. Registration is required for this program and closes three days before the program date. A minimum number of participants is also required. Call 815.748.8962 or visit www.kishhospital.org/programs. This class is for individuals with back pain, joint pain including arthritis, soft tissue pain including fibromyalgia, or individuals seeking to improve cardiovascular fitness. Warm water sessions decrease pain with improved range of motion, stretching, and flexibility. Six-week class meets once a week. Class size limited to four people. Days and times vary. Classes meet from Apr. 23 to June 1 at Unlimited Performance Rehabilitation &Sports Medicine, Sycamore. The cost to participate is $75 per person. Registration is required for this program and closes three days before the program date. A minimum number of participants is also required. For information and to register call 815.748.8900 or visit www.kishhospital.org/programs.